Quaking aspen can be identified by it’s leaves and bark. The leaves are round and finely toothed. In the summer months the leaves have a deep green color. In the fall, the leaves turn a golden color. They look almost like gold coins. When the wind blows the leaves appear to be quivering, trembling or quaking thus the origin of the common name. The bark of the quaking aspen has a distinctive white color. The bark is useful medicinally as well as nutritionally. The bark is a good source of protein especially in the fall and winter months when protein levels are high relative to other plant species. 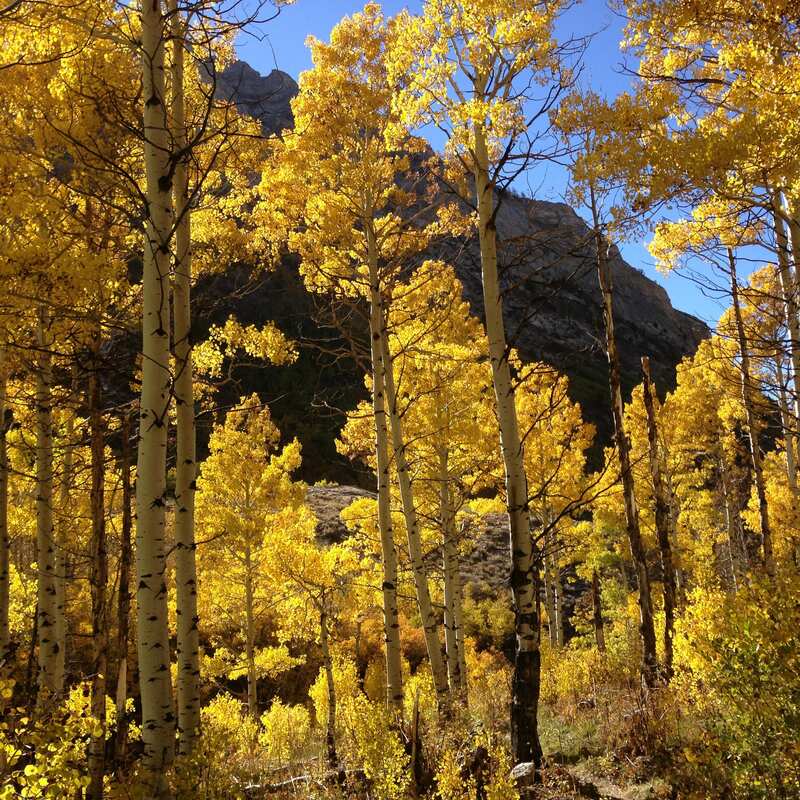 Uses for Aspen are farmstead windbreaks and riparian plantings, along pond and streams, wetlands and woody draws.